Under every great phone is a great charging dock, and the Sony Xperia Z2 Magnetic Charging dock is a companion every Z2 owner should have. When you've invested hundreds of dollars into today's latest tech, laying it flat on the table seems a little taboo in my eyes. I do baby my electronics, but especially a phone with a glass back, you want to keep it as pristine as possible. The Sony Xperia Z2 Magnetic Charging Dock takes advantage of the Pogo pin style attachment of the left side of your Z2 phone, allowing it to magnetically hold your phone in place. Combined with an app that comes preinstalled with your Xperia Z2, the Sony Smart Connect app can assist you setting up customized actions when the connection between your phone and dock is made. For Example: When my Xperia Z2 connects to my charger between 9PM and 8AM, it'll automatically silence itself, then go back to normal immediately after the phone is disconnected to the dock. Just another great feature Sony allows us to play with straight out of the box. 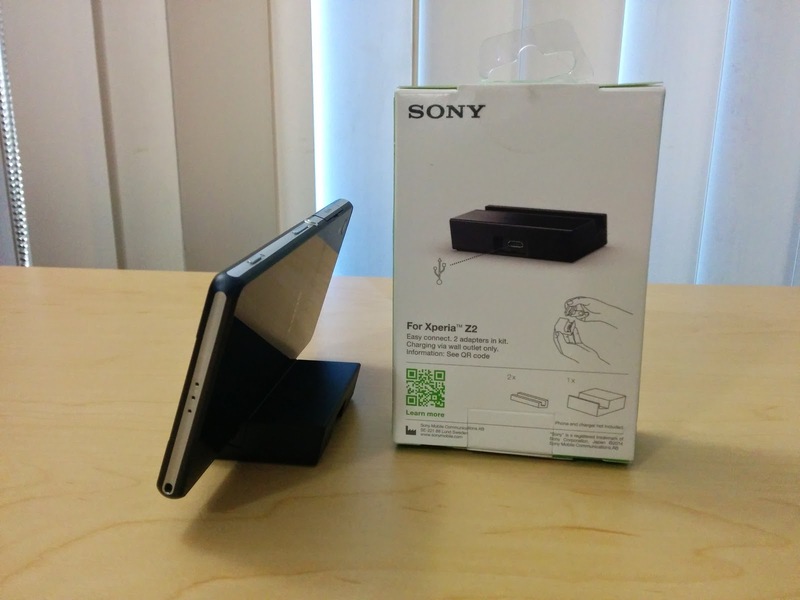 Not only does Sony's Xperia Z2 Magnetic Dock hold our phone in an optimal view position while keeping our devices safe, it also takes into account that people often use cases. With this removable and changeable plate attached to the dock, it'll accommodate the extra bulk a case will have, so you'll never have to make that difficult choice between the dock or the case. 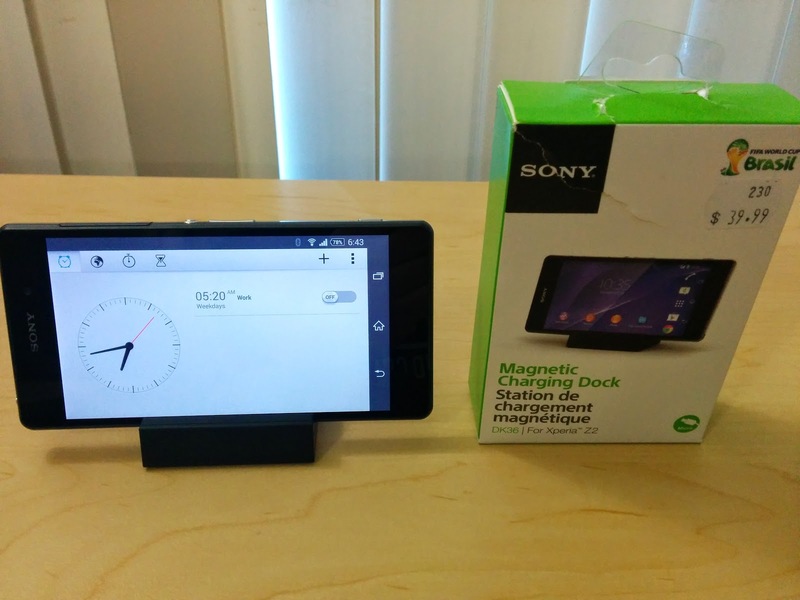 This magnetic dock for the Sony Xperia Z2 rings in at $39.99, but for an accessory junky such as myself, a dock is one of the most important accessories a mobile phone user can have. For more technical info and ways to purchase this magnetic dock, check out your local Sony store, or hit up their online store. If you missed it, you can find the Link to my Xperia Z2 Review Here.